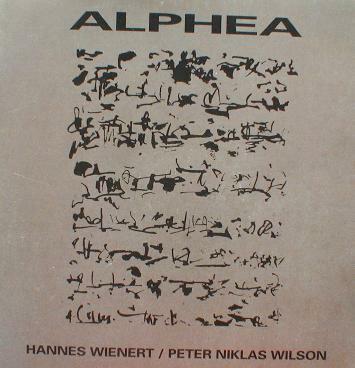 Alphea was formed in Hamburg 1991. The duo has performed in jazz clubs, art galleries and on jazz and contemporary music festivals, playing music structured exclusively by their own concepts. Hannes Wienert (alto and soprano saxophones, trumpet) studied visual arts. Peter Niklas Wilson (double bass) has performed and recorded with John Tchicai, Marion Brown, Derek Bailey and Anthony Braxton.